Day 08: Hanle – Leh. Early morning transfer to Leh airport to board flight back to destination. Journey Ends. Srinagar Hotel Batra / Super Deluxe Houseboat at Dal Lake Super Deluxe Houseboat at Dal Lake Hotel Grand Habib / Hotel Green Leaf. Pangong Lake Pangong Retreat Camp Pangong Retreat Camp Pangong Delight Camp. Air Fare for Ex Mumbai / Ex Delhi package on economy class. 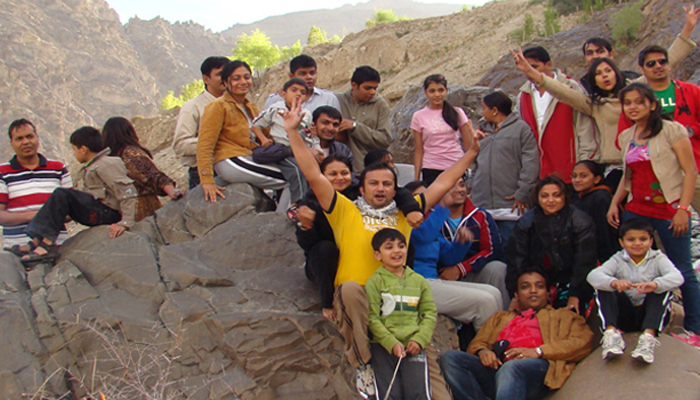 Complete Journey from Srinagar onwards till Leh Airport drop by Non A/C Innova / Scorpio with 5 or 6 Passengers a Vehicle. Accommodation on Sharing Basis as per requirement. All mention Meals (Breakfast, Hot Lunch / Pack Lunch, Dinner) enroute journey hot lunch will provided at planned hotels / restaurants only. Meals start with Lunch in Srinagar & ends with Breakfast in Leh. Ladakh entry permit, monument & museum entry fees. Srinagar airport transfers by A/C Innova / Scorpio / Tavera. Daily 02 packaged water bottle water per person from day 01 till day 08. Every vehicle will have 01 Oxygen cylinder for visit to Nubra valley, Pangong lake & Hanle only. Applicable Hotel & Package GST. Any kind of extra meals / drinks / package water bottle ordered. Tips, Porters, Phone Calls, Camera / Video Shoot entry charges. Any kind of Airfare / Rail fare / Coach Fare on above package rate. Any kind of Loss / Misplaced / Theft on personal belongings. Any Kind of Cost which not mentioned above. Cost incidental to any change in the itinerary / stay on account of flight cancellation due to bad weather, ill health, and road block and / or any factors beyond our control. Any kind of refund for unutilized tour plan services. Prices valid for minimum 04 / 05 pax traveling together in one vehicle. 50% payment to be deposited at the time of booking confirmation & balance to be paid 15 days before tour starts. Flight tickets are provided on lowest available ticket fare during time of reservation, it will be either stopover / via / direct on economy class only. Ravine Trek holds no responsibility for road blocks or flight cancelled or any unforeseen situation happen on tour. 25% cancellation charges if cancelled 30 days before the tour departure date. 50% cancellation charges if cancelled 20 days before the tour departure date. 75% cancellation charges if cancelled 15 days before the tour departure date. No cancellation refund if cancelled between 15 days to departure date. No refund for after start or middle of the tour. Flight Ticket Cancellation as per Airlines Terms and Condition.